First Aid Training Southport – Each training course we deliver is designed to encourage practical, relevant and realistic scenarios, combined with sessions designed to engage you. We use a variety of media presentation to enhance your training experience. Our courses are all “hands-on” where you will learn ‘Life Saving’ skills that will allow you to translate them back to your workplace. If your business demands cannot allow you to release all your staff at any one time, then why not enquire about our open course programmes? Alternatively, if you wish to train a group of 6 or more you could opt for our cost effective group courses, which can be facilitated on site at your organisation or at a venue provided by us. We have first aid courses available in Southport to suit a variety of different levels of training and experience, from single day appointed persons or refresher courses, to more extensive and in depth courses. 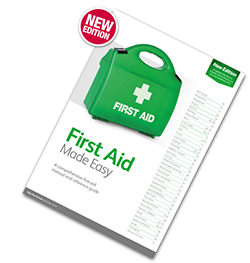 First Aid Training Southport – To safeguard the welfare of your staff and ensure that your business fully complies with all relevant legislation Training Course Solutions provides a full range of Health and Safety courses. First aid training Southport – For more information on our first aid courses offered by Training Solutions North West and how we can help you find the right training courses for your business please email us or alternatively, call us on 0151 515 0416 and speak with one of our training Consultants.